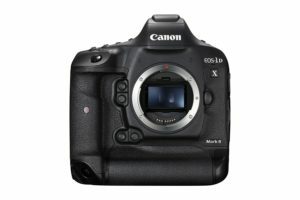 The Canon EOS 1DX Mark II is a professional DSLR that meets and exceed expectations based on the price point and the completion. It’s an all-around excellent camera that will appeal to everyone from photojournalists to wildlife photographers. The flagship DSLR offers Canon’s new full-frame sensor and Dual Pixel AF system. The AF system provides that 61 point system and 24% more coverage. With a bit more resolution, the 1DX Mark II produces gorgeous captures. The resolution balances with detail well at high ISO. However, Canon made the decision to include an AA filter to this model, which seems a bit out of place given the target buyers are typically sports and wildlife photographers. The 1DX Mark II can shoot up to 30 minutes of 4K video with good quality. IT also has a CF and CFast card slot, the second of which will let you shoot 4K/50/60p. However, it lacks 4K external recording. The new in-camera Digital Lens Optimizer technology helps eliminate image degradation from lens aberration and diffraction – plus, it stores that data so you don’t have to register it on previously released lenses. Dual DIGIC 6+ Image Processors ensure corrections can be made with hardly any effect on speed. The body is solid and tough. It’s heavy but designed to take a beating. The touchscreen has a good response, with a “tap to focus” feature. The new live view/video switch is handy, but that is the only significant body change from its predecessor. The overall performance of the EOS 1DX Mark II is impressive and doesn’t disappoint. This is a pro camera that will appeal to a variety of photographers and videographers. For a professional camera and at the list price, it’s well worth the purchase for seasoned Canon shooters.